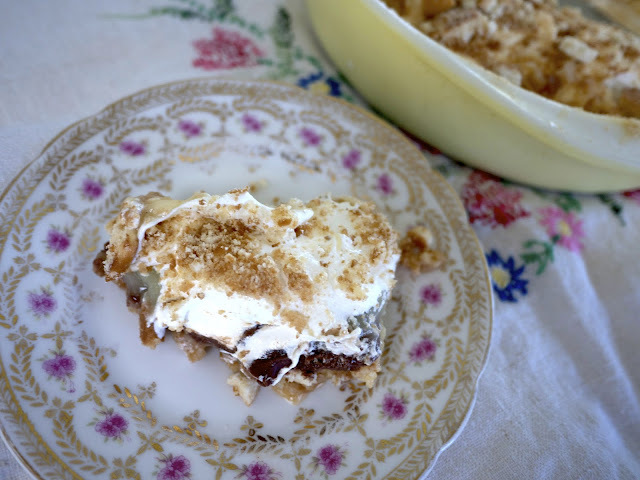 With a holiday weekend coming up there is nothing you need more than a good pie recipe. 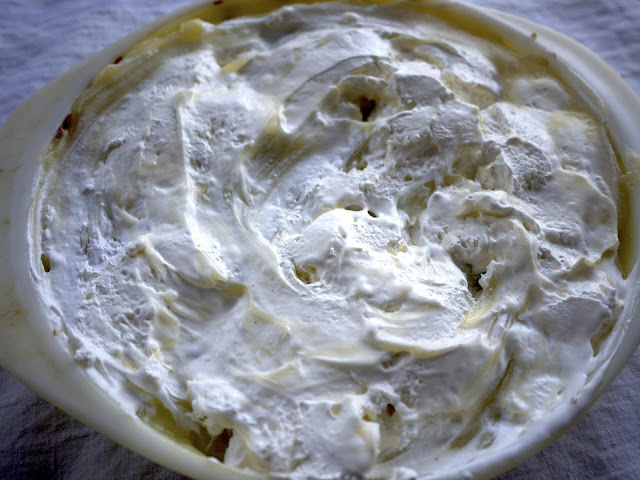 Not only will this creamy pie keep you cool but the people will be freaking out. It da bomb...da banana bomb. 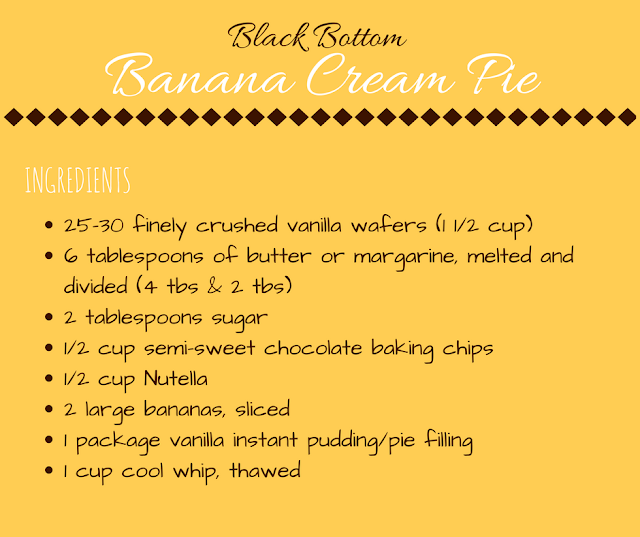 Now me, I LOVE me some banana cream pie, I mean LOVE. 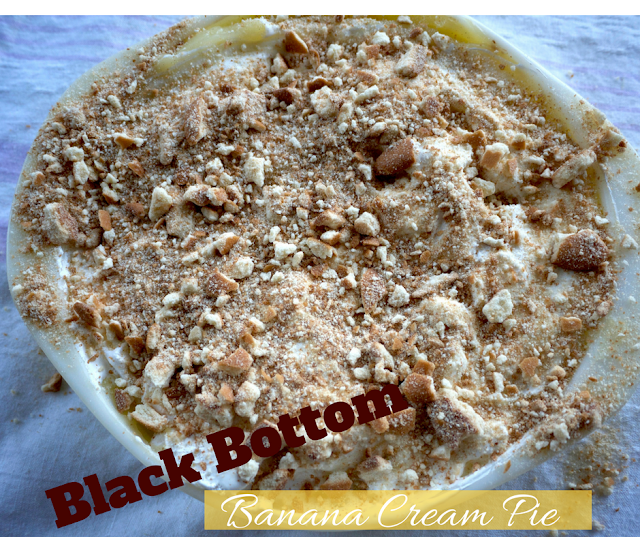 So, when I saw this recipe for a black bottom banana cream pie, I was ALL IN! Chocolate and banana...wait, AND nutella too? Done. With everything ready to go, making that tasty cookie crust is up first. 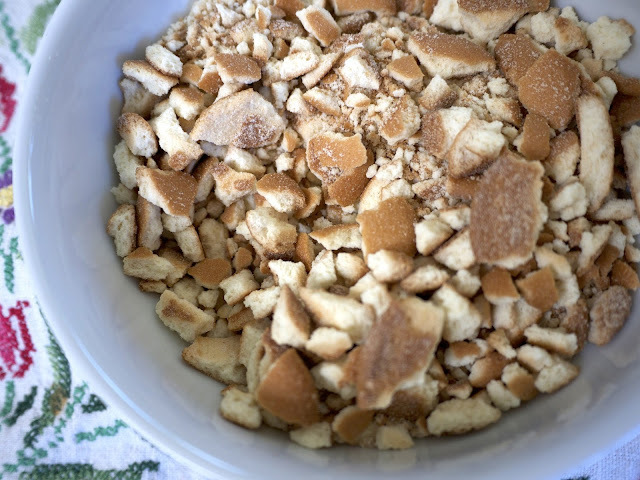 Crush those vanilla wafers in preparation for your crust of deliciousness. 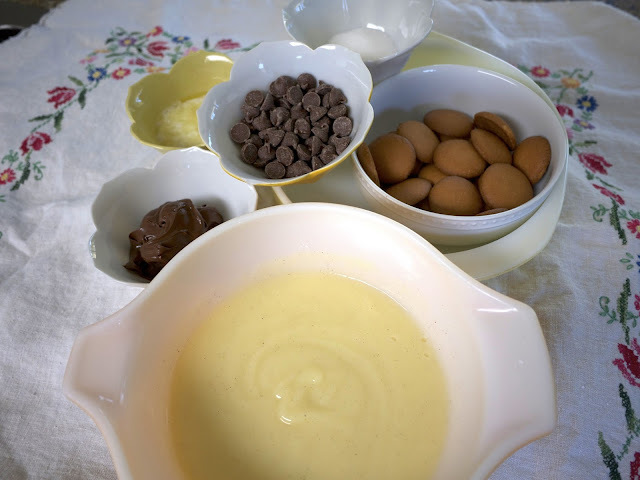 Take two tablespoons of those cookies and set aside for later use. 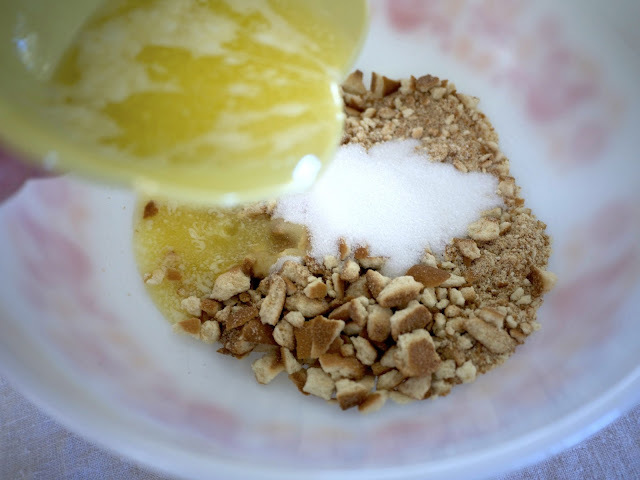 Mix the remaining crumbs with 4 tablespoons of melted butter and sugar in a medium bowl. 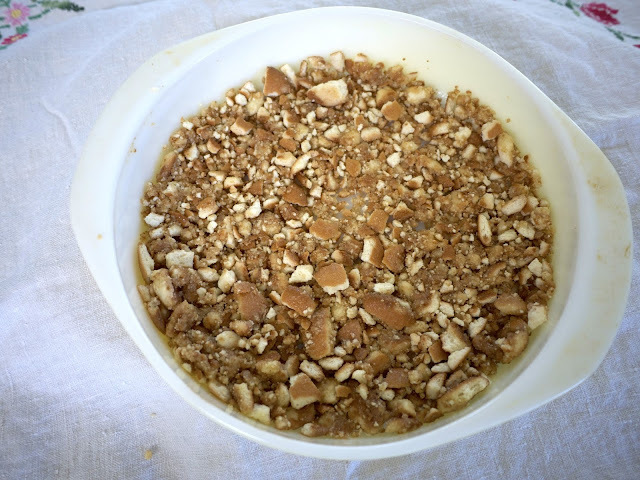 Grab your favorite pie plate and press the crumb mixture firmly into the bottom and up the sides (if possible) of a 9 inch pie dish. 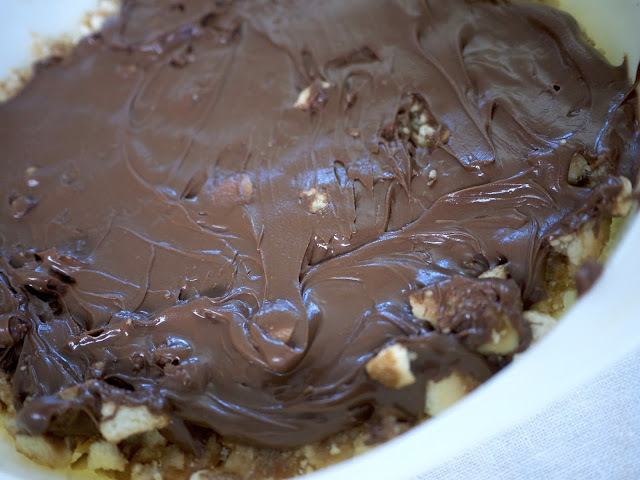 Now...the chocolate..and Nutella. 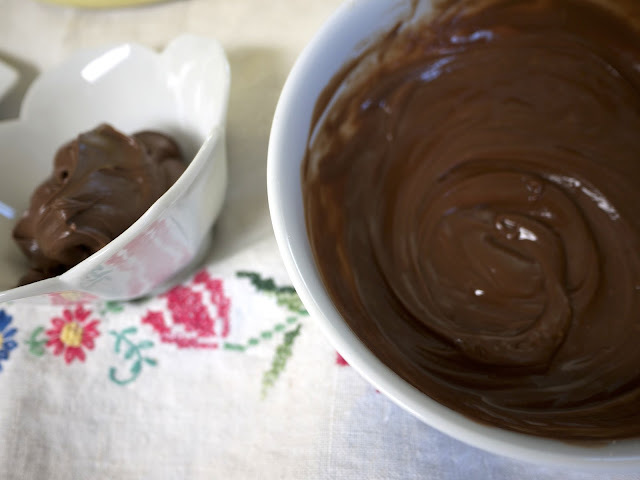 Melt your chocolate (I microwave for 15 seconds, stir, nuke again, stir, again...until it is melty and smooth) then add that creamy Nutella to the mix. 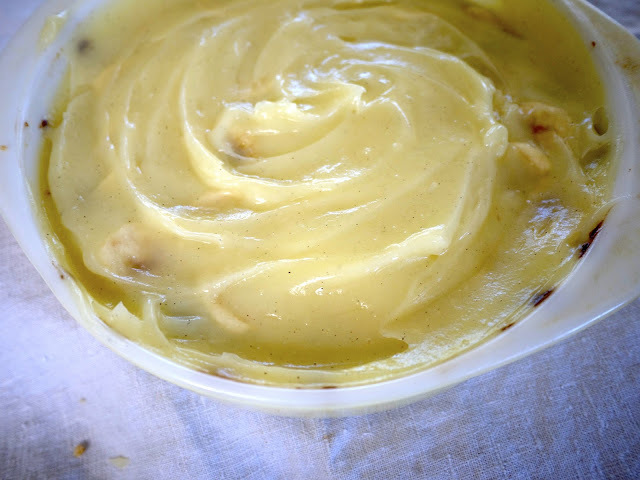 Once you have your concoction, dump and carefully spread evenly on the crust. Note - if you get too aggressive the cookies may pull up so gentle...gentle. 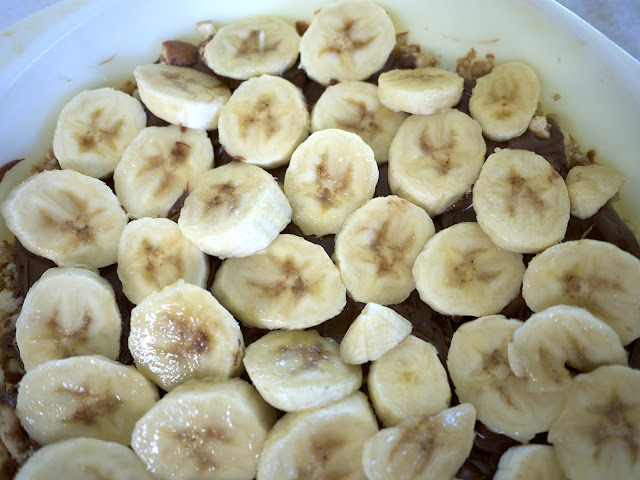 Next up, place the sliced bananas evenly on top of chocolate layer. 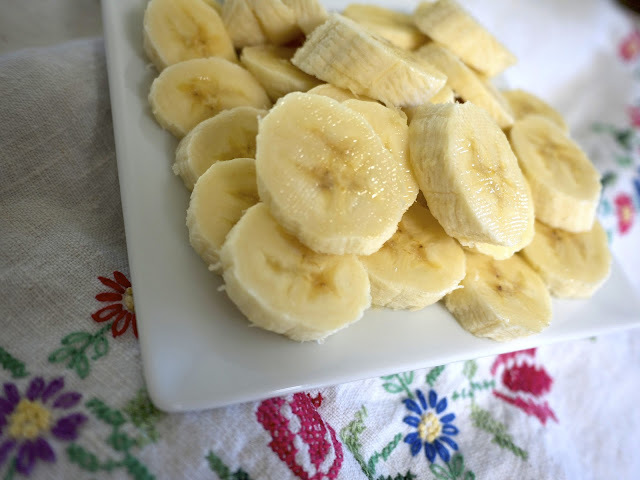 Take the prepared pudding (as directed on package) and pour evenly over bananas. Once you have those lovely layers complete, refrigerate for at least four hours (I went overnight). 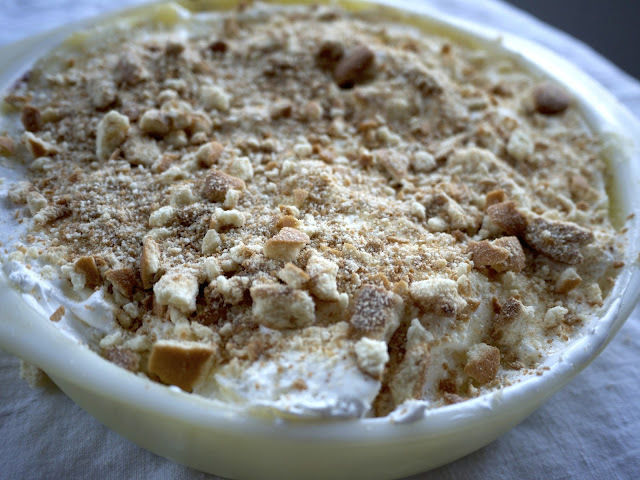 Then, before serving add a layer of cool whip and a dusting of those leftover wafers. Oh to the Yes. Slice up that bad boy and get ready to have your mouth/mind B.L.O.W.N. Make sure to be the hit of your weekend party with this sassy take on a classic pie. And try not to eat the whole thing before you make it out...trust, it is not easy.